If you’ve had a website up since at least the beginning of the year, then you probably remember how online marketers were scrambling all over the place in preparation for the release of the Google mobile-friendly algorithm update. It was released on April 22nd of 2015 and while it certainly changed the online marketing landscape, it wasn’t the seismic shift that everyone thought it was going to be, nor did it end up becoming the “mobilegeddon” that everyone anticipated. Sure, mobile optimization became more important than ever, but it didn’t exactly cause websites to crash and burn because they weren’t fully mobile-friendly either. 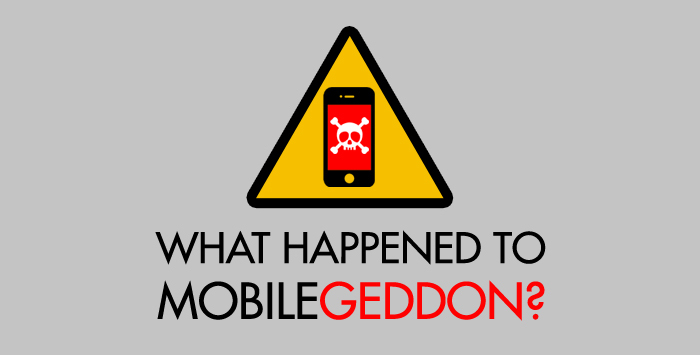 According to a survey by Koozai , the majority of SMEs believe that Mobilegeddon was overhyped. 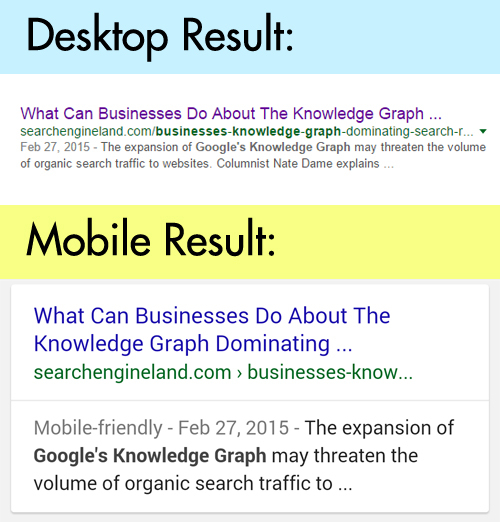 What did the new Google mobile-friendly algorithm update do? One of the biggest worries about “mobilegeddon” was that Google was going to start ranking mobile-friendly websites higher on their search results pages, leaving non-mobile-friendly websites behind in the dust. This was expected to be particularly damaging to smaller businesses that didn’t have the resources to create a responsive website design or a separate mobile version of their website. This isn’t exactly what the Google mobile-friendly algorithm update does. Yes, the algorithm does rank mobile-friendly websites higher now – but only for mobile searches, which – once you think about it – is completely logical. 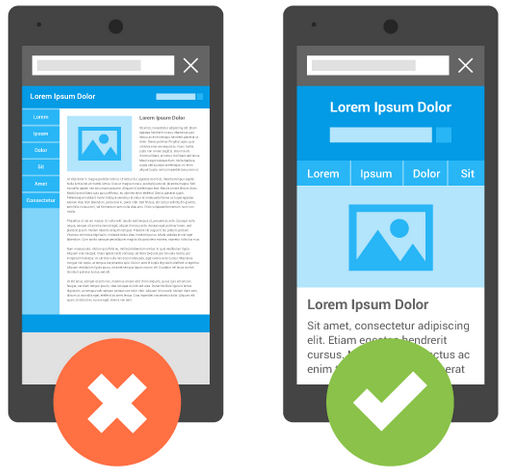 Google Mobile-friendly Algorithm recognizes and labels mobile-friendly sites and prioritize them in mobile searches. Websites that doesn’t target mobile users – for example, websites that publishes long, in-depth research papers – aren’t going to be punished. Their ranking will remain the same for searches done via desktop or laptop. However, their ranking will drop for searches done on mobile devices. This won’t affect websites whose audiences aren’t searching for them on mobile devices. Websites that use mobile-friendly software. Some software, such as Flash, won’t render properly on mobile devices. Websites that display text that can be easily read by mobile users without the need to zoom in. Websites that size their content properly so that mobile users don’t have to scroll horizontally in order to view the entire website. Websites that place their links far enough apart so that it’s easy to tap on each individual link without accidentally hitting a different link. Mobile-friendly sites doesn’t require you to zoom-in or scroll horizontally to read the contents. “10 Simple Ways To Make Your Website Mobile-Friendly”. You might be breathing a sigh of relief knowing that your regular search ranking won’t be affected, so that all that hard work put into your online marketing strategy won’t go to waste, but that doesn’t mean that you don’t need to worry about your mobile search ranking. Mobile penetration is continuing to increase year by year. As of 2015, 64 percent of all Americans own smartphones and 80 percent of all Internet users own smarpthones. Towards the end of 2013, there were roughly 45.7 billion searches done on desktops. 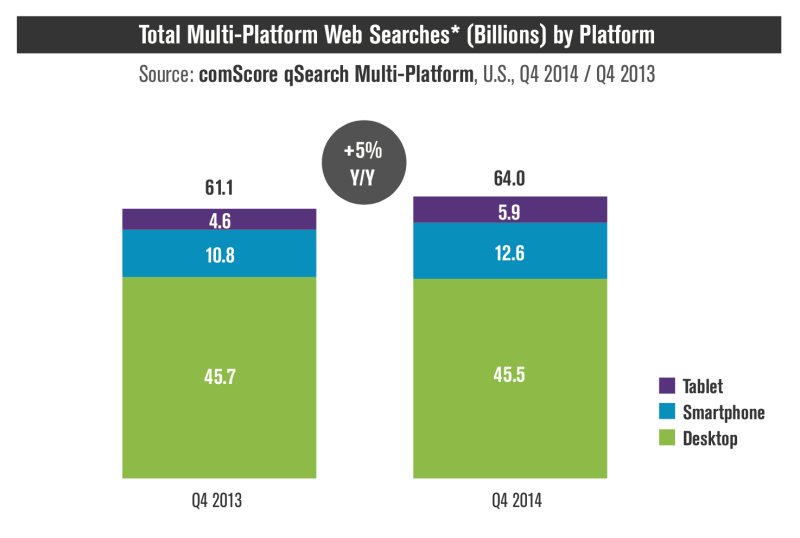 There were a combined 15.4 billion searches done on smartphones and tablets. Desktop searches only dropped slightly towards the end of 2014 to 45.5 billion. However, the combined searches done on smartphones and tablets rose dramatically to 18.5 billion. Mobile queries (tablets + smartphones) were roughly 29 percent of total search volumes. Mobile searches currently take up about 29 percent of all search queries. While the majority of search queries are performed on desktops, this is still a number that you can’t ignore – it accounts for almost one out of every three searches! As of July, 2015, mobile digital media time is higher than desktop digital media time. In fact, mobile makes up 51 percent of the average time spent per day consuming online digital media, whereas desktop on makes up 42 percent. Mobile users most of the time are already on the move and their search are related to what they are trying to accomplish that very moment. Mobile searches are often performed with a different intent than desktop searches. Up to 77 percent of mobile users use mobile search to look up locations, up to 67 percent use mobile search for directions and up to 47 percent use it to look up phone numbers. Additionally, mobile users often use mobile search to find quick verification, price comparisons and product reviews.This makes mobile search especially important to local businesses. Not only are more and more people buying smartphones, a large majority of those smartphone users are performing search queries using their mobile devices in addition to or instead of their desktops. Keeping all of this data in mind, it only makes sense that Google would adjust its mobile search so that mobile users are provided with better search results. Mobile users are not going to want to waste their time clicking on ranked websites that aren’t mobile friendly, after all. Even though desktop search ranking remains stable post-Mobilegeddon, a drop of ranking in mobile search can hurt you if they contribute to a lot of your traffic. Hopefully, you now have a basic understanding of how the new Google mobile-friendly algorithm update might affect you. Even so, you might want to consider implementing a mobile strategy since mobile marketing shows no signs of slowing down (unless you aren’t dependent on mobile traffic, in which case you can keep going about your business). While Google may have released a few tips on how it judges mobile-friendly websites, it’s a good idea to dig a little deeper in order to figure out what really affects your website’s mobile ranking. It’s recent algorithm update isn’t the first time it’s implemented some kind of mobile ranking into its algorithm. 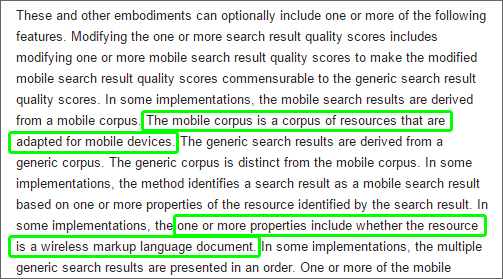 Trait’s of a mobile-friendly website according to this patent. This patent reinforces your need to optimize your website for mobile search in order to reach a mobile audience, although it also recognizes that you don’t need to optimize your site for mobile use if you’re not interested in chasing a mobile audience. 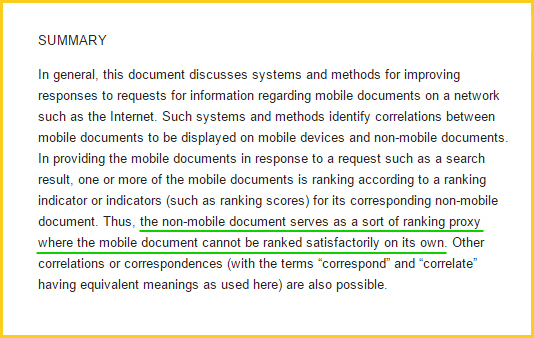 This patent explains that even though Google will prioritize mobile-friendly websites for queries performed on mobile devices, sometimes Google’s still depends on the ranking of the regular, or desktop version of the website to rank it. Google might still use the desktop version of a site to rank it in mobile search results if it lacks in some ranking signals Google need. Why? Because there are mobile websites that are simply too simplified that it is lacking in some important factors in order to be properly scored and ranked by Google. This actually have both a positive as well as a negative aspect to it. On the good side, we understand that if the mobile version of your website is too simplified and is lacking in ranking factors, Google still have a backup algorithm that lets it rank based on the desktop version of the website. This means that the mobile version of your website might still have the chance to get a good ranking provided the desktop version possess a good ranking as well. On the negative side, it tells us that oversimplified mobile websites are actually an issue to Google that they need to create a workaround for it. Compared to desktop ranking, mobile-search algorithm are relatively new and might not be as advanced. Despite the workaround, it might still negatively affect your ranking if you oversimplify the mobile version of your website so it’s wise to avoid that. Another thing to consider is that you waste the potential to rank higher in mobile searches even though your website might be more relevant to mobile users just because it’s oversimplified. With this in mind, it’s a good idea to give more attention in properly developing the mobile version of your site. It’s better to invest a little bit in the development process rather than resorting to some free/cheap apps or services that automatically generates a mobile-website without taking into consideration proper design and remove too many elements of the original site. This patent explains that because the screen sizes of certain mobile devices are limited, Google may omit less important parts of a search result in order to maximize the use of space. So in some cases, Google may elect not to show the title and show a snippet of the content that contains the keyword from the user query instead. What does this mean for you? Given the smaller screen size of mobile devices, Google might omit some elements of your search results, such as the title. It means your contents shouldn’t depend solely on the titles since Google may decide not to display them for certain search queries. It also means that you shouldn’t overuse your target keyword. This is because if Google decides to use a snippet from your content, it will choose a snippet containing the keyword. You’ll want to make sure that whenever your keyword is used throughout your content, it is used appropriately and in-context, or else your snippet won’t make sense to the user. 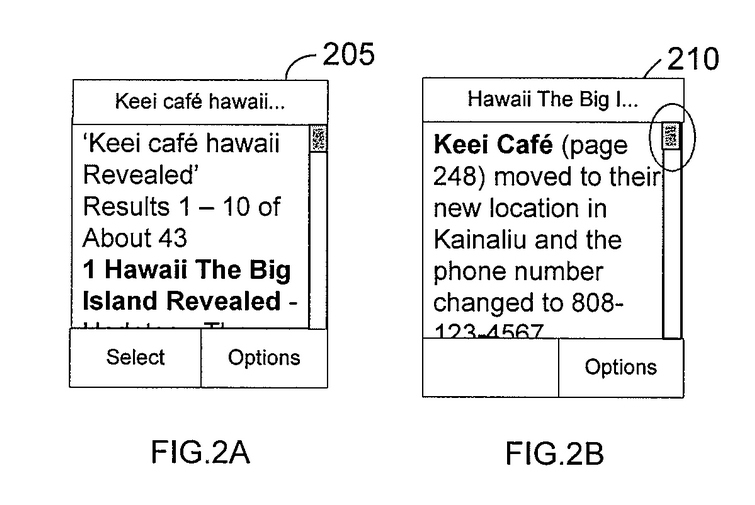 While this patent might describe an older problem before the age of mobile devices with wider display, what we can take notice from this patent, is that mobile search results are displayed differently compared to desktop results. 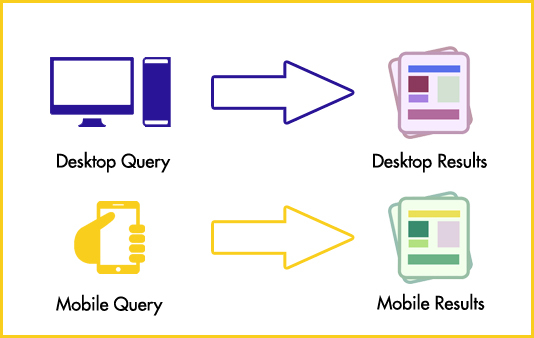 Mobile and desktop results are displayed differently and requires different optimization. This opens up a whole new option of optimizing the elements displayed in search results to maximize click-through-rate. As shown by one of our earlier experiment, even a slight change in the snippet can make a huge difference in the amount of traffic gained. However, the most recent Google mobile-friendly algorithm update was major in that it will help ensure that mobile users are provided with the best user experience possible via Google’s search engine. This is the bottom line and one that you need to consider. If you want to reach a mobile audience, you need to make sure you optimize your website for mobile use not only to rank higher on mobile search – but also to give your audience a better website user experience. “20 Beautiful Examples of Mobile-Friendly Websites in 2015”.